Rabbi Yitz Wyne is the founder and spiritual leader of Young Israel Aish of Las Vegas. 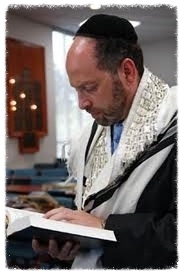 Rabbi Wyne’s sense of purpose and fulfillment in life is inextricably connected to the sharing of the timeless Torah knowledge, values and spiritual beauty with the entire Las Vegas community. Rabbi Wyne credits his dedication to kiruv (bringing Jews closer to Judaism) to Rabbi Weinberg’s knowledge, inspiration and dynamic leadership. In addition to leading a growing congregation, hosting The Rabbi Show every Sunday at 9 a.m. on KDWN, recording his weekly YouTube Parsha Videos, corresponding with hundreds of Facebook ‘friends,’ and speaking often on topics related to his best selling book entitled “Life is Great! Revealing the 7 Secrets to a More Joyful You”, Rabbi Wyne finds time to enjoy life in Las Vegas with his wife, Helene and their six children. Rabbi Avi Anderson was raised in Brooklyn, NY. He received his rabbinic ordination from Yeshiva University’s Rabbi Isaac Elchanan Theological Seminary and also completed his MS in Jewish Education at YU’s Azrieli Graduate School of Education and Administration. Prior to attending YU, Rabbi Anderson studied in Waterbury, CT for five years. While attending yeshiva in Waterbury, Rabbi Anderson earned a BS in Business Administration from Post University. In his spare time, Rabbi Anderson also earned a certificate from the National Council of Young Israel in Advanced Rabbinic and Synagogue Management, as well as certificates in Life Coaching and Clinical Hypnotherapy from Transform Destiny. 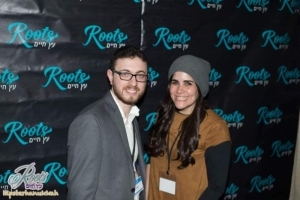 Rabbi Anderson served as the rabbinic intern at The Roslyn Synagogue and taught as a Beit Midrash Fellow at Ramaz Upper School. Rabbi Anderson has also taught in Congregation Ahavath Torah in Engelwood, NJ and has organized and run minyanim at Congregation Tephereth Israel in New Britain, CT. He served as Chaplain in NYU Medical Center and New York Presbyterian Hospital for several Chagim-Holidays. 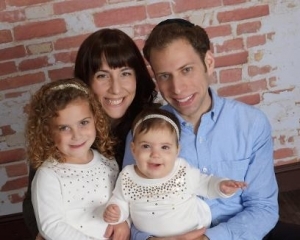 Rabbi Anderson, his wife, Rivky, an occupational therapist, and their daughters, Chaya and Shira, are an integral part of Young Israel Aish.